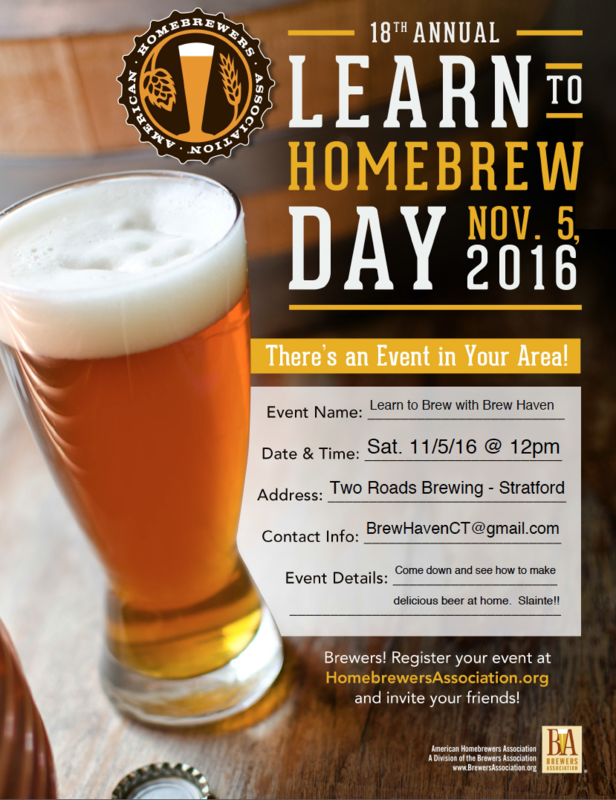 Brew Haven is excited to announce that we will be holding a National Learn to Homebrew Day demonstration at Two Roads brewing in Statford, CT on Saturday, November 5th at 12pm. This is sure to be a great day filled with great knowledge and you guessed it… SAMPLES. Come on down to see what brewing is all about and how fun it is to make great beer with friends. Check out the flyer below for all of the information. You can also follow this link to Two Roads Blog post.